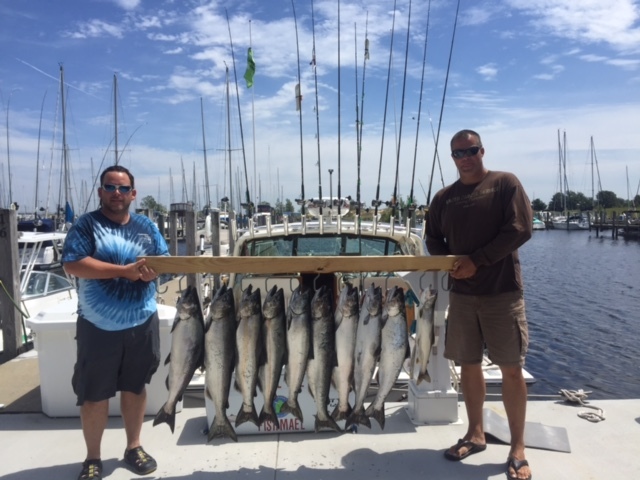 Stop Looking And Book Today-Fish Muskegon! Choose Capt. Jake and his crew for your next or first charter trip and enjoy catching fish and spending time on the open water. Clean Boat and Clean Bathroom! Most professional crew in Muskegon! 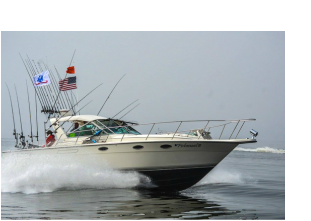 ﻿Fish Comfortably aboard a 1989 Tiara 31 Open with all the latest gear to keep you catching fish! Come aboard for a memorable experience and let us show you a good time! All tackle provide and we clean and package your catch. ﻿﻿Kids under 12 fish free with paid adult. $75 Deposits Will Be Returned In Full If Cancelled 1 Week Prior To Trip. All fishing equipment is provided and we clean and package your fish- Remember to bring a cooler and we will provide the ice!